Love it! What Shakespearean expressions do you use regularly? Mine are "full circle," "laughing stock," and "so-so." I use the saying "laughing stock" and "piece of work" all the time. 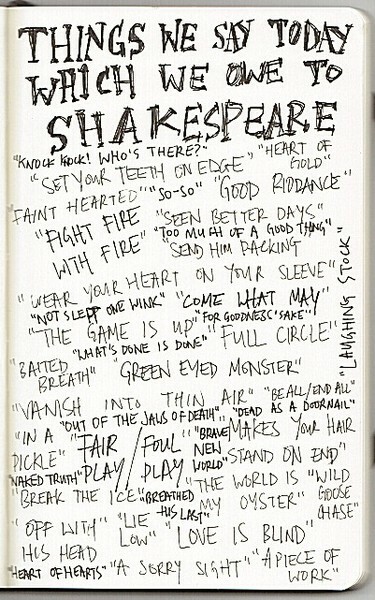 There are a lot of sayings here that I didn't know came from Shakespeare. 'Go shake your ears' is my favourite. It usually brings whoever I'm talking to to a full stop.